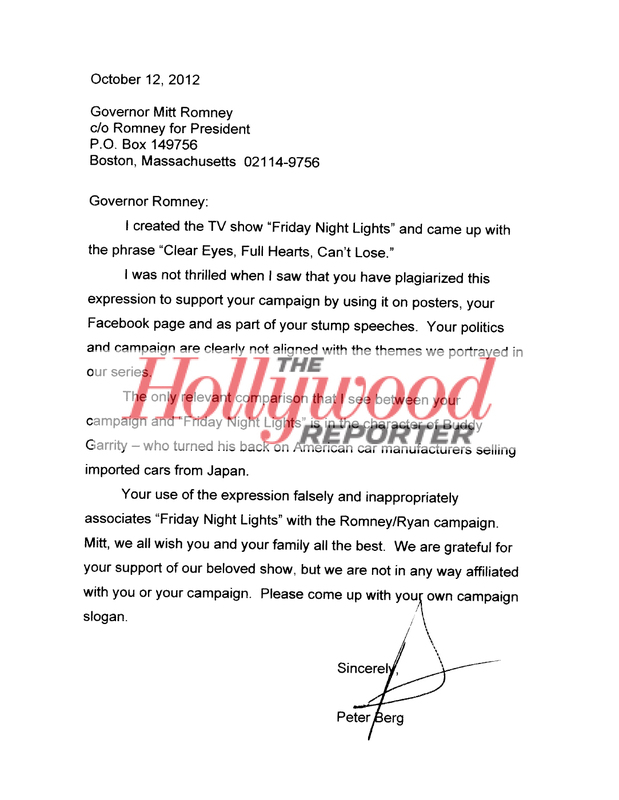 ‘Friday Night Lights’ Creator Accuses Mitt Romney of Plagiarism in Threatening Letter – Hollywood Reporter. I really don’t enjoy “pressing” articles from other news sources, but I find that The Hollywood Reporter is far less “sensational” as some. I came across this particular article when I was on imdb.com this afternoon (Friday, Oct. 12). I find in interesting that Mitt Romney has again found himself with his foot in his mouth once again.